Cape Town - One of the most interesting stats you are likely to see this year came courtesy of fellow cricket scribe Ken Borland. "Just dug up an interesting stat from yesterday's 1st ODI v Pakistan. South Africa are only the 7th team in ODI history (4080 games) to only lose 2 or fewer wickets & still lose the match!" Borland tweeted on Sunday. South Africa, on the final stretch of their preparation for the 2019 Cricket World Cup in England, batted first at St. George's Park on Saturday and posted a modest 266/2. With Faf du Plessis, Heinrich Klaasen, Andile Phehlukwayo and Dwaine Pretorius all left unused, it was a poor effort from the Proteas and it was no great surprise that Pakistan cruised to a five-wicket victory. In the modern era, you simply cannot bat for 50 overs, lose two wickets and not push past 300. As expected, there was a large amount of backlash from social media, with questions raised over the readiness of this Proteas as they look to win a first ever World Cup in 2019. 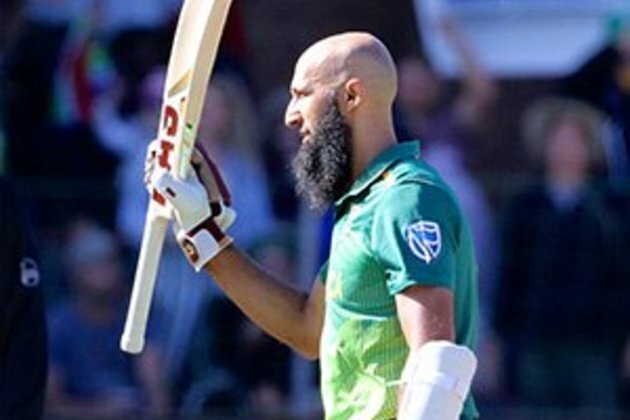 Hashim Amla (108* off 120) copped a lot of the blame, with former Proteas opener Herschelle Gibbs one of many to have a stab. "Just a bit concerned that a senior player could play like that and not get any criticism from captain or coach. Interesting to say the least," Gibbs offered after the match. According to another statistic, it was the lowest ODI total since 1992 from a side that only lost two wickets batting first. It was, by all accounts, not good from the Proteas and the lack of acceleration towards the back-end of the innings was there for all to see. There is, however, a far bigger picture. Just over a month ago, Amla was dropped by the Durban Heat in the Mzansi Super League because he could not buy a run. The man to take his place was Sarel Erwee. That is how out of touch Amla was and his form was a massive concern for South Africa across all formats, but particularly with the World Cup in mind. A Test series and an ODI later, Amla looks to have turned the corner. He averaged 52.25 in the Test series, contributing two vital half-centuries, and on Saturday in PE he became the fastest man in ODI history to 27 centuries, breaking Virat Kohli's record by two innings. Hitting just 8 boundaries throughout his knock (7x4, 1x6), Amla was far from his best. While he was able to rotate strike with relative ease, he could not find the fence and he will be the first to acknowledge that he needed to do that a lot more, particularly in the final 10 overs. It is not the first time in his career that Amla has been fingered as being too slow for limited overs cricket. Ahead of the 2016 ICC World T20, AB de Villiers had expressed a desire to open the batting at the tournament. It created an awkward situation where De Villiers, Amla and Quinton de Kock were all vying for two spots. Because of the natural aggression of De Villiers and De Kock, Amla was the one in the firing line. In his very next T20I innings, however, Amla hit back at his critics with a stunning 97* (62) against Australia at Newlands. It was an innings that very quickly extinguished the idea of De Villiers moving up the order. Amla averages 50.34 in ODI cricket at a strike rate of 89.31. To put that into perspective, Amla scores his ODI runs quicker than both Du Plessis (88.58) and JP Duminy (84.17). It didn't quite click on Saturday, but when one factors De Kock back in the frame, then it is far more acceptable for Amla to play the role he did. Reeza Hendricks, batting for his place in the World Cup squad, made 45 from 67 as the Proteas got off to a start that saw them scoring at just over 4 to the over in the powerplay. It is almost impossible to see De Kock moving at that rate and it is part of the reason that he forms such a superb opening pair with Amla, who is flexible enough (Saturday aside) to change his approach when the match situation needs him to. Having Amla back in form is huge for South Africa, and that positive surely outweighs any negatives that came out of Saturday's result. De Kock and Amla will open in England, and if Amla can do exactly what he did on Saturday, then South Africa will win more games than they lose at the World Cup. The more interesting development is instead over that No 3 position where Hendricks, Rassie van der Dussen and Aiden Markram are in a three-way shootout for one slot. Hendricks, perhaps, is slightly ahead at this stage but Van der Dussen is in red-hot form and his 93 (101) on debut has thrown him firmly into the World Cup picture. With each passing ODI, Markram looks to be slipping further down the pecking order. There are nine ODIs to go until the World Cup and there are many things for the Proteas brains trust to worry about until then. Amla, however, should not be one of them.